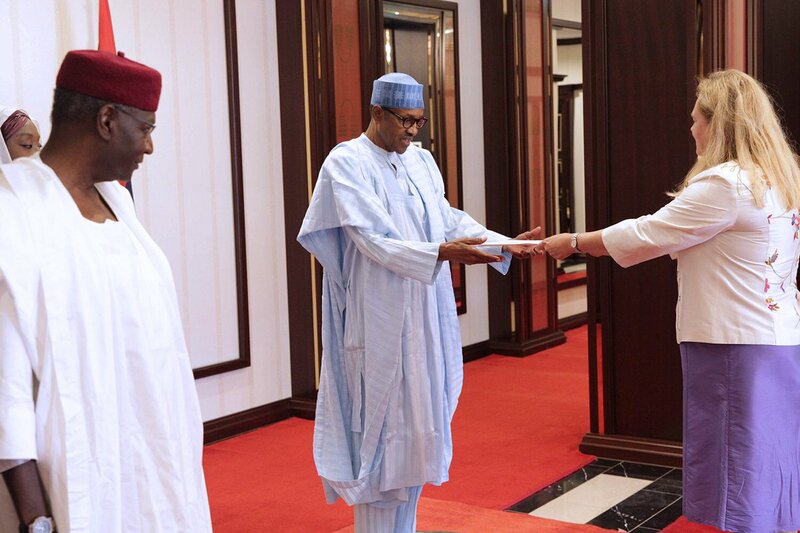 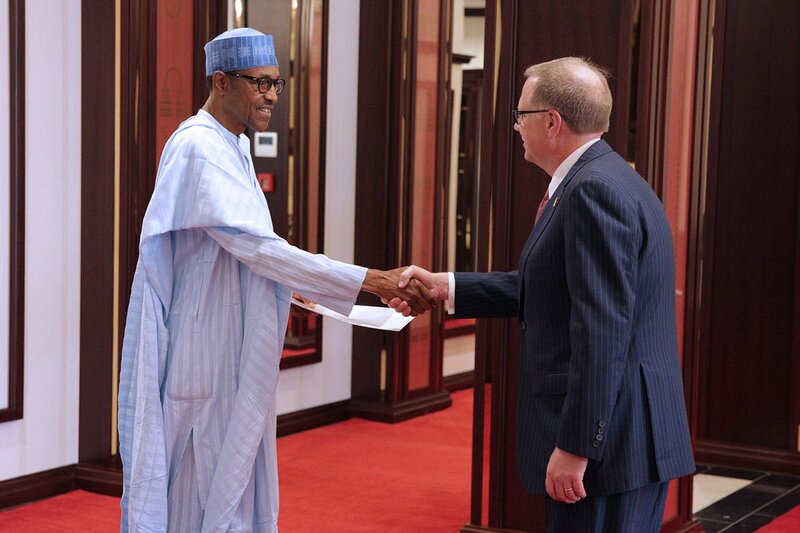 The Nigerian President, Muhammadu Buhari hosts four diplomats in Abuja. 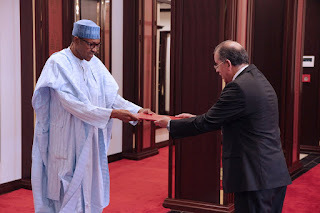 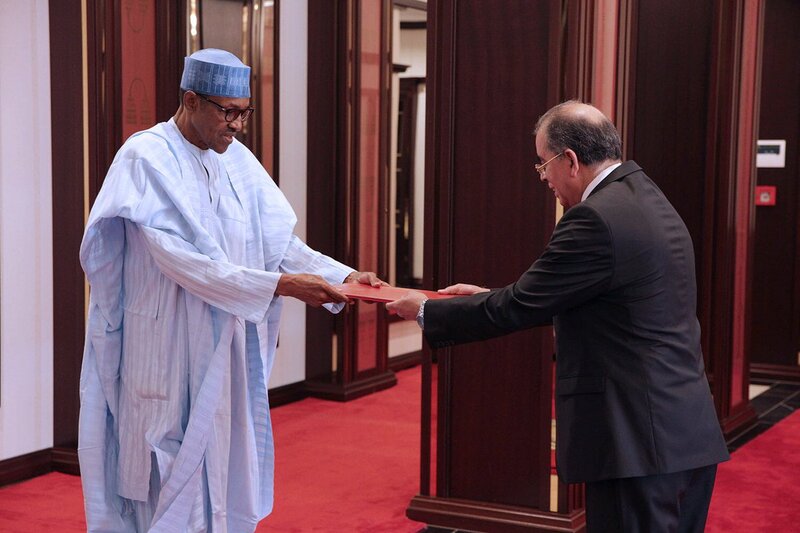 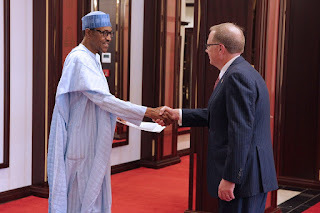 The Diplomats that visited him at the Presidential villa presented him with letters of credence - the Ambassadors are from Tunisia, Sweden, Canada, and Germany. 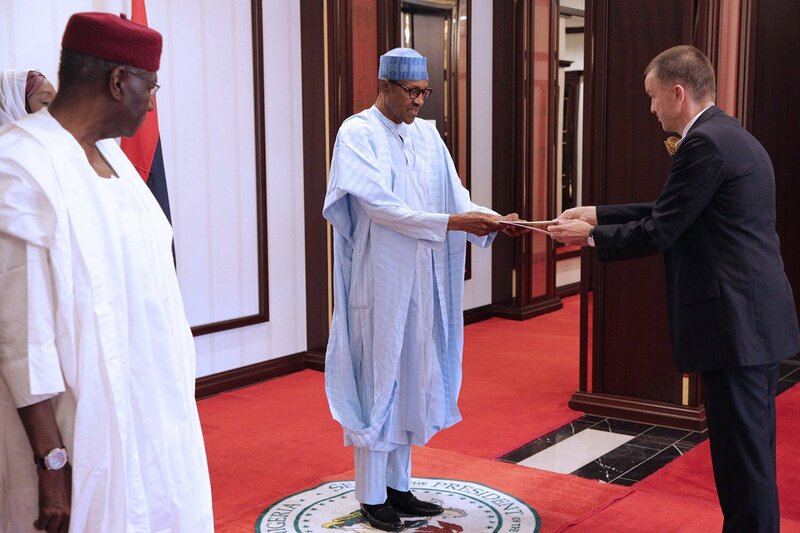 Credence letter is, however, signed letters from an Ambassador's head of state addressed to the head of state of the country where he/she will serve.